How to create a white paper for ICO: rules, tips and examples in our new material. 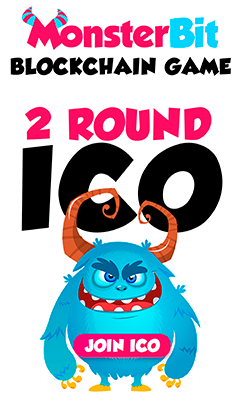 The ICO continues to attract attention with hundreds of projects around the world which are trying to raise funds using this technology. The market has already established its own ICO guidelines and one of them is that the project team must submit its description in a special document called the ‘white paper’. Now we will talk about how it should be written. White paper is a document, in which the technology of blockchain is explained. This file usually contains a detailed description of the system architecture, as well as its interaction with users, information about the current market situation and growth forecasts, the conditions for the release and use of tokens, and a list of team members, investors and project consultants. Without a properly designed white paper it will be difficult to the project to carry out a successful ICO: not many will be ready to invest in the absence of technically competent descriptions of the technology, as well as without any previous experience of team members. Below there are tips on how to create a high-quality white paper, and some real examples of good documents. Andrew Chapin, blockchain expert and founder of the projects Benja.co and Ship Ninja described the perfect white paper in a HackerNoon column. These are very competent advice, which we give briefly in our material. However, despite the fact that the information on the project team is usually placed at the end of the document, it is one of the most important elements. According to Chapin, any investor-angel can tell the stories about his investing in a strong team with a bad idea, because he was convinced of their ability to come up with something valuable in the course of activity. For example, before its pivot, Android used to be a camera operating system, while Nokia previously dealt with woodworking and paper production, and Pinterest in the start of its path used to be a shopping app and it wasn’t a social network (although it has returned to its e-commerce origins recently). Therefore, it is important that the team should be multi-professional, including people who have already achieved some success in the past, and also it would be perfect if they have at least some experience in blockchain domain. Quite often, the teams try to launch fundraising when they do not have engineers with experience in blockchain: the founders consider money-raising as the main thing and that they can hire an engineer later. But you should look before you leap, because until the investors want to give the money to the project, they need to understand whether the team is generally capable to create what was planned. The second important section of white paper should contain the description of the product: prototype data, the first users and development strategy. Very often in the course of ICO the team can only have a beautifully designed pdf and a few mock-ups, but neither the product itself, nor the users or the strategy is perfect. If the project already has an existing ecosystem and users, this increases chances for a successful token survival, which means that the availability of these elements must be presented in the documentation. A detailed plan for using the funds raised is also very important. Today, there are lots of organizations in the ICO world that report on their plans to create the “industrial consortiums”, non-profit units or launch a series of events for “industry development.” This may cause suspicion that the team member has the intention to spend some money not on the product development, but on something else (perhaps on personal needs). The information about the token should be detailed during its offer on the stock exchange. If there is no answer to this question, or according to plan this should happen in 30-60 days, there is a reason to suspect something is not going as expected. According to Chapin, in this case, it is highly probable that the project team is going to manipulate the price of the token at the moment of free trade opening. In general, the public is interested in the future interaction of the company with the released tokens: will the issue be limited before the presale, what determines the start of sales in the market, and whether buy-backs will be conducted. The white paper should contain a detailed technical description of the project and plans for its further development (development roadmap). In theory, the team should provide a detailed working plan for the next 12-18 months, which should include a beta launch. If any of the roadmap points have already been performed, this means an advantage for a team. Let’s put the theory into practice: the easiest way to understand the requirement for an ideal ICO document is to see real examples of successful projects. We have selected three very successful projects and analyzed their white paper (more examples can be found from this link). ‘Monetha’ is a project of a payment system for the blockchain, which collected $37 million (95 000 ETH) in just 18 minutes. The white paper of their system contains all the sections mentioned above. It has a detailed description of the project’s working plan, token economy, fund-using plans, and also team members’ service record – even the previous business experience that raised investments. In addition to the technical description of the architecture of the product, there are also some easy for better understanding of the schemes. Another example is the ‘Aeternity’ project, which collected nearly $ 34 million. Its white paper shows that the documentation does not have to be very comprehensive. The file does not have a beautiful design and is created in the format of a research article (two-column, simple formatting). The format of the research is really trustworthily, while the document does not have to be so long (~ 10 pages). And finally, the project-winner, who raised $ 257 million during the ICO, is ‘Filecoin’. Its founders also decided to use a research style for white paper without any designer refinements. The presentation style corresponds to the pattern: a lot of formula and different schemas. A good white paper will not save a bad project: if a team tries to solve a non-existent or not a very important problem, or if its members do not have a lot of development experience, they are new to blockchain, then it is highly probable that the project will not be successful, even if creating a proper documentation, and this must be what to aware of. The pattern should be appropriate for the team: the style of the research article selected by the ‘Filecoin’ and ‘Aeternity’ projects is different from the more popular project chosen by the ‘Monetha’. In particular, in the “research paper” there is usually no section with the description of the team – there is only a section on its web-site for this purpose. To create a high-quality research paper, the author should have an experience in writing such documents. Lack of experience means better to follow ‘Monetha’s’ way and make a unique presentation of the project. It is important to take the public into account: the style and format of white paper is influenced by who will read it. If the goal is to attract a technically literate audience and scientists, then it is logical to present the information in their usual form. But if the target is to involve a wider audience, then you should not overly complicate the document, you can even create two versions: lightweight and more technical – for those who want more details.